Bring “Let’s Colour” to life! Whatever the reason – whether it’s a new house, a new baby, or a new relationship – adding colour to your home with a new coat of paint is a great way to create a new, positive atmosphere at home. Even though people might not intend to paint their homes right now, how can you express Dulux “Let’s Colour” in a way that leaves a lasting positive impression in the hearts and minds of consumers? 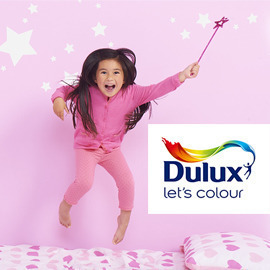 Bring “Let’s Colour” to life and show how Dulux adds colour to people’s lives and homes! Send us yor ideas till December 13, 2015 23:59 UTC!